No matter where you are in the world, we want you to be able to peek in and see your pet while they are our pampered guest at Paws In Paradise Luxury Resort & Spa. We are thrilled to offer you webcam access to see your pet while they are enjoying our amazing resort. Webcam access is password protected, available 24/7, and included in the daily rate. At Paws In Paradise Luxury Resort & Spa, staff members are on site 24/7! We offer private, luxury suites, featuring a cozy bed, television, and video-monitoring capabilities. Our guests’ comfort and happiness is our highest priority. A clean home is a happy home. Here at Paws In Paradise Luxury Resort & Spa, we follow this mantra to the letter. Our facility features mess-free Ultimate K9 Turf, guaranteeing the safety of your pet. We provide a stringent and continuous cleanliness protocol to ensure proper disinfection. We provide small group play for our more socially inclined friends. Group play is fully monitored for the safety of each pet. In addition to our safe and clean outdoor spaces, we have two indoor play areas for our guests. Indoor play areas are reserved for mentally stimulating games and platform conditioning. No matter where you are, we know your pet will be on your mind. This is why we are proud to provide daily report cards. Postcards from Paradise will be sent to you each night while he or she is our guest. Separate housing is provided for cats and dogs. Purr Paradise, housed in our smaller building, caters to the unique needs of our feline guests. Cats love to be entertained so in Purr Paradise, our feline guests can spend hours marveling at our aquarium featuring a collection of tropical fish. It is basically “Food Network” for cats. Is there anything better than having someone wash your hair? We don’t think so. Paws In Paradise Luxury Resort & Spa knows how to pamper pets. We are proud to offer full service grooming so your pet is fresh faced and relaxed when it is time to head home. 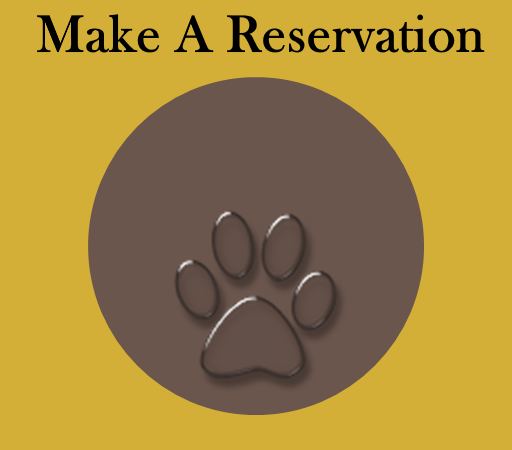 Lodging and Day Resort guests will receive a VIP rate of 10% off all grooming services completed during the stay! 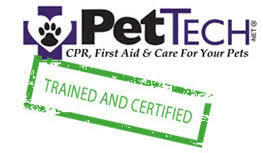 We have implemented every possible safety measure for your pet while they are our guest, including staff members who are specifically trained and certified in Pet First Aid & CPR. Our air filtration system is designed to eliminate airborne pathogens and germs, ensuring the healthiest possible environment for our guests. Our facility maintains 24-hour security monitoring. The safety of our guests is always our number one priority. Our facility features a privacy fence surrounding our property, giving your pet peace of mind and relief from distractions, as well as keeping them safe. After all, this is their vacation. We get it. Sometimes you just want to go out and explore. While we appreciate a sense of adventure in our guests, our goal is to keep them safe and sound. Our facility features redundant front doors to prevent the escape of our thrill-seeking guests.